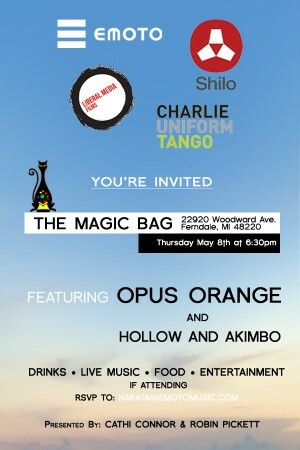 Opus Orange will be performing tonight with Hollow and Akimbo at the Magic Bag in Ferndale, MI. Doors are at 6:30pm and the show starts at 7:30pm. If you are around and free, please stop by! For all the details, click here.